ProsPowweb does not have much going for them other than they are in business. Bottom LineThere are too many other good hosting companies to waste any time with them. This is not the hosting company you are looking for. There servers ran slow with some downtime. The customer support was not the best. We found their website and control panels to be difficult to navigate. Sometimes we could get a knowledgeable staff member other time we could not. During a support call the technician told us the exact opposite of what the website stated. It seems that the right hand does not know what the left is doing when it comes to Powweb support. On one occasion we submitted a ticket and then 36 hours later it was closed with very little information on the steps taken and resolution. The problem was not resolved. In the competitive world of Web Hosting there are many other companies that are better than PowWeb. Consider one of these higher rated companies befor POWWEB. Support staff say each Joomla upgrade file must be uploaded individually via file manager. I FINALLY got them to bump the issue up one level and they quickly unarchived the zip file. Next time there was an update, I had to wrestle with support for a while to get accurate support. On Hostgator, I extract the update zip file directly from file manager. Customer support is good for the bare bones basics. Price is fair. Access to the back end is blocked. Customer support can't address "deeper" issues, like unzipping Joomla updates or renaming the htaccess.txt file. Speed is sluggish. I went with Powweb as it seemed very highly rated. Bad choice. The database access to my Joomla site was so slow, it made the server timeout and display the "site temporarily unavailable" message. Powweb customer support admitted they had too many accounts on the data server, but told me there was not much to be done. Not reliable as a SQL or joomla host AT ALL. 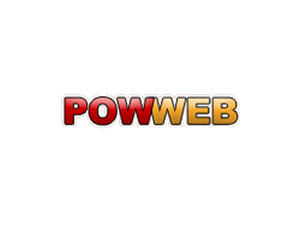 PowWeb was established in 1999 by Andrew Te in California, USA. The hosting company has made a name for itself in the “low cost” hosting industry with its history of great support and rich hosting features. Through the years, PowWeb has been recognized by numerous hosting review websites and has been honored with awards for excellence in web hosting. Today, the company hosts over 100,000 domains. PowWeb owns a huge number of Dell servers and they use unparalleled load balanced technology which provides great reliability to the website owner. PowWeb prides itself on the fact that most of its infrastructure and software was designed and developed by its own engineers. On PowWeb.com, it is stated that “By continuing to listen to our customers, we continue to learn, grow and evolve our business into the #1 choice for Web hosting. Powweb has only one hosting plan. and they have dramatically increased the level of services.